Microsoft just announced a spectacular vision of the future — augmented by a wearable headset that promises to marry digital information with the physical environments in which we operate every day. The Microsoft HoloLens is a head-worn wearable computer and the company’s attempt to make augmented reality an everyday experience for consumers and not just a gimmick used in the occasional marketing campaign. When the HoloLens was announced, the Internet lit up with the promise of a future where digital information can be easily overlaid on top of our physical world, making complex, real-time data visible in our day-to-day lives. Whether at work, at play or across a variety of domestic use cases, the HoloLens allows users to view and interact with information in ways only previously imagined. Leveraging a multitude of sensors and onboard camera, the headset performs its magic by adding a layer of digital information on top of the physical world in which we operate. Unlike the Oculus Rift and other virtual reality headsets (which have received their own fair share of attention), Microsoft’s approach is not to transport users into completely new digital environments, but to enhance those with which we are already familiar. 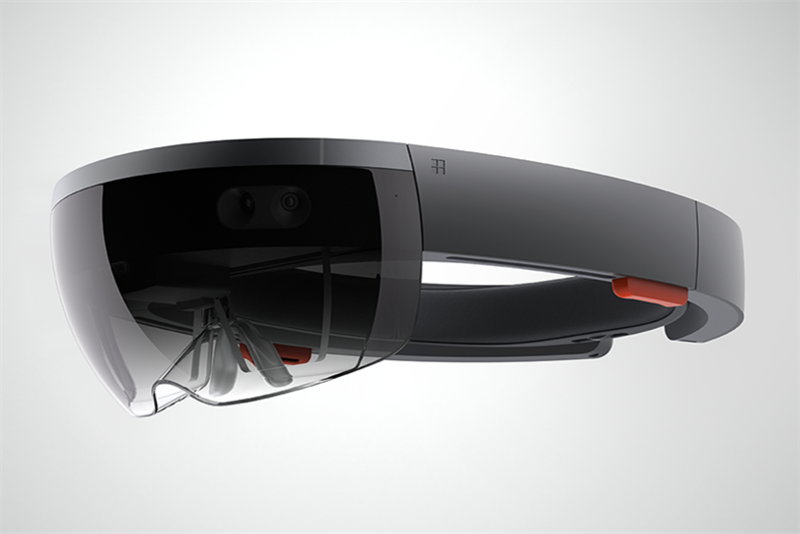 The emerging space of wearable displays doesn’t belong exclusively to Microsoft. There are various other emerging players that also have high hopes as they work to drive these next-generation interactive experiences to some level of ubiquity in our homes and workplaces. DAQRI (http://daqri.com), a Los Angeles-based software and hardware innovator has been at this game for some time. In Q4 2014, the company announced the DAQRI Smart Helmet, a hardware component to its own, advanced augmented-reality software platform. DAQRI’s technology promises to push augmented reality a step further, billing the experience as "4D," with the intention of doing away with static 3D models that can be placed overtop camera views on tablets and smart phones. DAQRI’s intention is to bring fully interactive, data-driven 3D models into a user’s field of view and provide new ways to visualize data that have never before been possible. The helmet hardware is designed for industrial use – from oil fields to military runways and the company’s balance of sophisticated engineering with thoughtful user experience has led to a product offering that could take the market by storm (or at least serve as a very worthy acquisition target for the likes of Google, Apple and others). META (http://www.spaceglasses.com), another emerging contender, gained quite a bit of attention in 2014 with its promise to "make science fiction a reality." It has been working on a hardware device that also offers similar functionality. With a focus on empowering users with the ability to interact with digital 3D objects in a more natural manner, this Portola Valley, Calif., startup has been working to bring its own hardware to market. Dubbed the META 1, META’s first-generation hardware is intended for developers working to create additional products for everyday consumer and business users. In terms of real activations for brands, there are an incredible number of use cases that could really bring this technology to life. Imagine the possibilities for consumers: attending a concert remotely from your living room, virtual real-estate listings where you can tour a property as a 3D model, planning a vacation or cruise, or looking around your house and being able to visualize all the data attached to ordinary objects — the possibilities for consumers are mindboggling. Meanwhile, enterprise users could benefit tremendously by bringing real-time data into view, adding an extra layer of information to the workplace. Focusing on data and efficiency, this type of experience can lead to increased productivity and the ability to make real-time decisions that impact the bottom line. Consider the potential for jet mechanics to overlay real time data on a running engine and its parts (which DAQRI currently demos), or for a call center manager to see call-handling time, customer satisfaction and other stats floating over individual’s desks to indicate who’s excelling and who may need help. While Microsoft’s HoloLens announcement got everyone talking, they aren’t alone in their pursuit and it is safe to say that we will see a lot of additional announcements and advancements in this space in the coming year. While Microsoft has set no dates for a widespread consumer release, it is clear that the battle for our future screen technologies has started. It’s likely that other players — including Samsung, Google, Apple and Adobe — are working to bring similar types of future experiences to market. Dave Meeker is VP of Innovation at Isobar. Is Apple powering up an electric car?